Who We Are | John Rubin Productions, Inc.
Writer-producer-director John Rubin turned to documentaries after completing his Ph.D. at MIT in cognitive science. Winner of a Peabody Award and three Emmys, Rubin makes films for television and the web and is the President of John Rubin Productions, Inc.
After leaving Stanford University with a B.S. in mathematics, John Rubin went to graduate school at MIT to do computational research in visual perception. He was frequently lured out of the lab and into the field, where he became an experienced backpacker and expeditionary sea kayaker. Rubin’s film career took off in 1993 when he was hired by National Geographic Television (NGT) as its first staff producer in the Natural History Unit. His first two films at NGT earned Emmy nominations. As supervising producer, Rubin created “Savage Garden” and wrote the script for its star, Leslie Nielsen. From 1997 to 2002, he headed Rubin Tarrant Productions, delivering 14 hours of primetime documentary programming. During this time, Rubin won the Science in Society Award from the National Association of Science Writers for a National Geographic film about cloning. John Rubin worked as producer and head writer for the PBS environmental series Strange Days on Planet Earth, hosted by Edward Norton. Strange Days won best documentary series at Wildscreen and at the International Wildlife Film Festival. In 2002, Rubin founded John Rubin Productions, Inc. 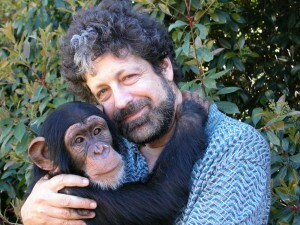 Since then, Rubin produced eight films for National Geographic’s Explorer series, including “Climbing Redwood Giants,” which earned the Forest Hero Award at the International Forest Film Festival (2010) as “the film that most effectively celebrates the work of individuals or groups committed to forest research and sustainability.” This film was also nominated for two Emmy awards. 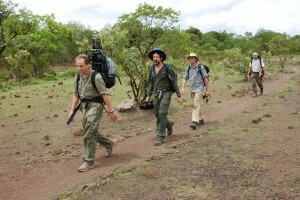 In addition to his company’s work with National Geographic, John Rubin Productions also made six films for the PBS series Nature. For NOVA, Rubin’s “Ape Genius”—a film that explores the cognitive gap between humans and other apes—earned Rubin two Emmy nominations, a Peabody award, and the Buffon award at Pariscience. 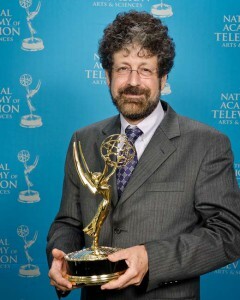 Rubin won an Emmy in 2008 for research on “The Living Weapon,” a history of the U.S. biological weapons program for the PBS series American Experience. Recently, Rubin has begun to produce films for internet distribution as well as broadcast. His film Got Lactase?, created for the Howard Hughes Medical Institute (HHMI), tells the story of a remarkable and powerful case of natural selection in our own species: how some populations of human beings—unique among mammals—evolved the ability to digest milk as adults. This web documentary for HHMI was soon followed by another The Origin of Species: The Making of a Theory, a film hosted by Sean Carroll and brought to life with historical re-creations. Rubin continues to write, direct, and produce shows for television and the web. To share ideas, comments, or opportunities, please visit the Contact Page.